Leviton Tamper-resistant combination receptacle/outlet and USB charger in black, has plastic construction for long-life durability. It operates at a voltage rating of 125-Volts and current rating of 15-Amps. It is compatible with USB 2.0 devices, decora wallplates and Decora Plus™ screwless wallplates. Its compact design fits in a standard wall box and can be multi-Ganged with other devices. It is suitable for use in kitchens, bedrooms, home offices, airport lounges, salons and spas, hotels, meeting rooms and office cubicles. 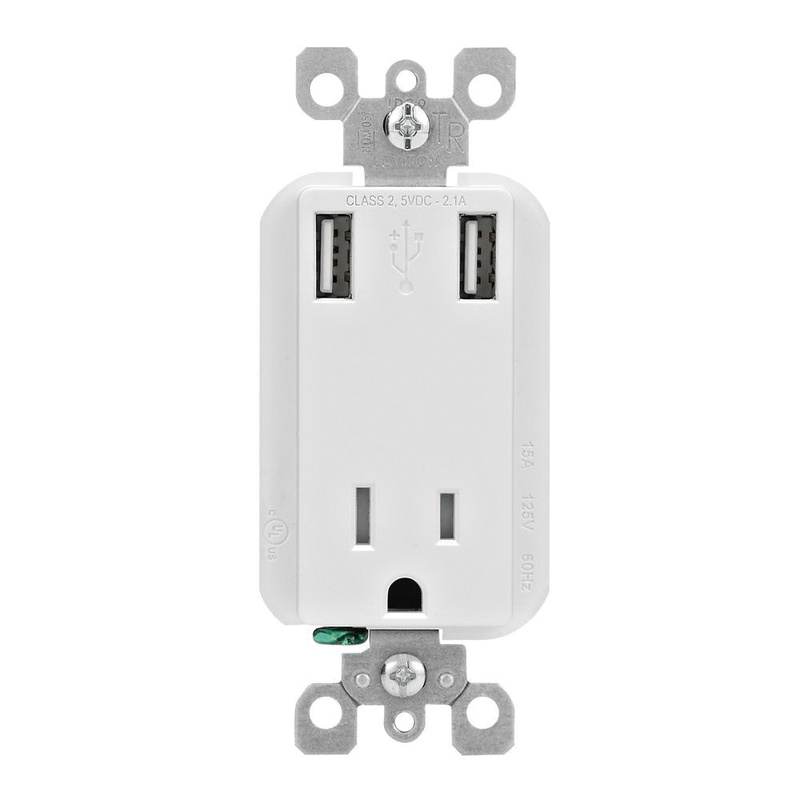 The combination receptacle/outlet and USB charger meets cCSAus, UL and CSA standards.